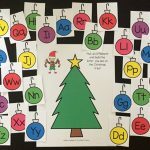 FREE Christmas ABC Order Sensory Bin Printables for Kindergarten! Christmas time is here! I can’t tell y’all how much fun I had making this month’s sensory bin! 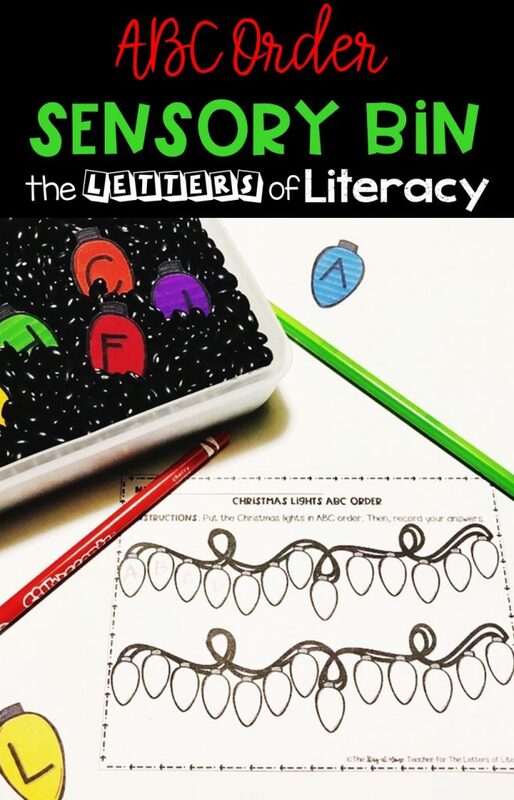 This bin is perfect for getting your little ones in the Christmas spirit while practicing their early ABC order skills. 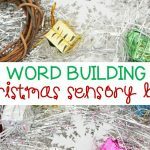 Your children will get to practice abc order in a new way with this Christmas ABC Order Sensory Bin. 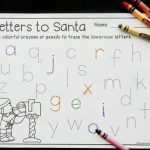 Don’t forget to grab the FREE Christmas Lights ABC Order Recording Sheet! 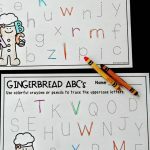 *Pair this with our December Printables Bundle for Kindergarten! For this bin, I went back to my favorite black beans. The bright colors of the Christmas lights pop so well against the shiny black beans! Using this color of beans also makes it easier for little bitties to find the lights when it’s time to get to work. I decided to print this set 2-per-page in order to fit the pieces in a small pencil box. 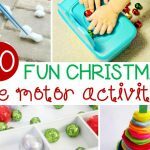 Printing them this way makes them perfect for keeping lots of sensory bins set up and stored at once. Simply grab your pencil boxes and pass them out to groups of students. 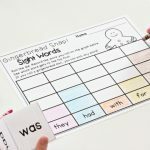 This makes them great partner activities or even morning work as your kiddos come into class! To add an extra level of fine motors practice, we used mini clothespins to clip the lights in order on yarn! The lights look so festive strung up AND give little fingers an extra workout! While I love printing the sensory bin pieces 2-per-page, I find that printing the recording sheet as a full page works best for recording. 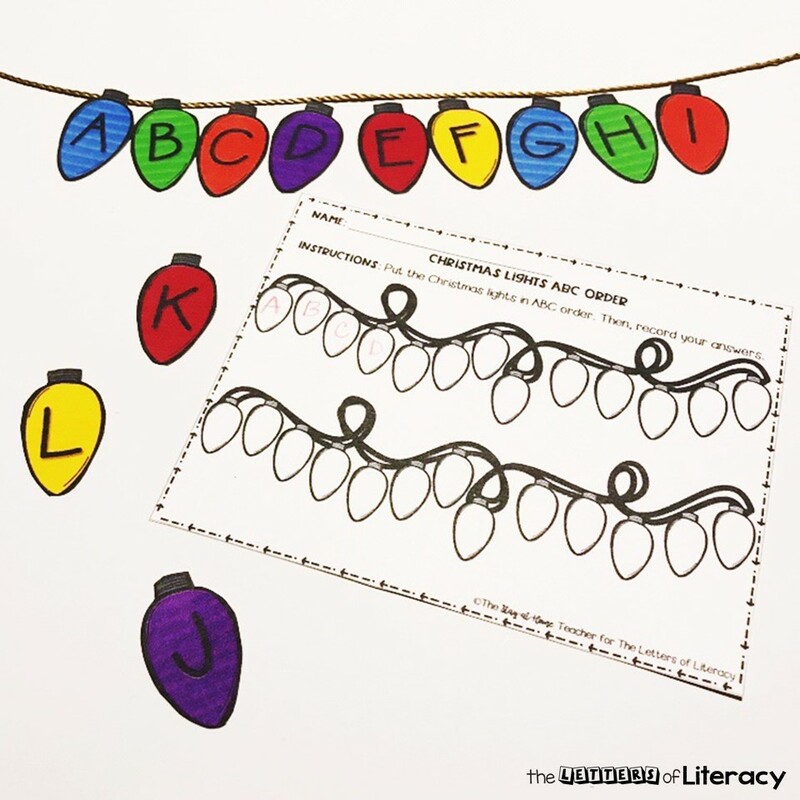 After putting their Christmas lights in ABC order, students record the letters in the Christmas lights on their practice page. As always, this sensory bin can easily be used as a stand-alone center instead of a bin. Simply print the pieces at their full size, cut and lay out pieces for students to arrange in order! 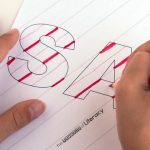 This activity is perfect for small group work and stations! 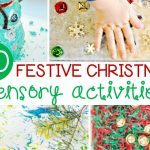 I hope this sensory bin helps your and your little ones have so much fun this Christmas season! 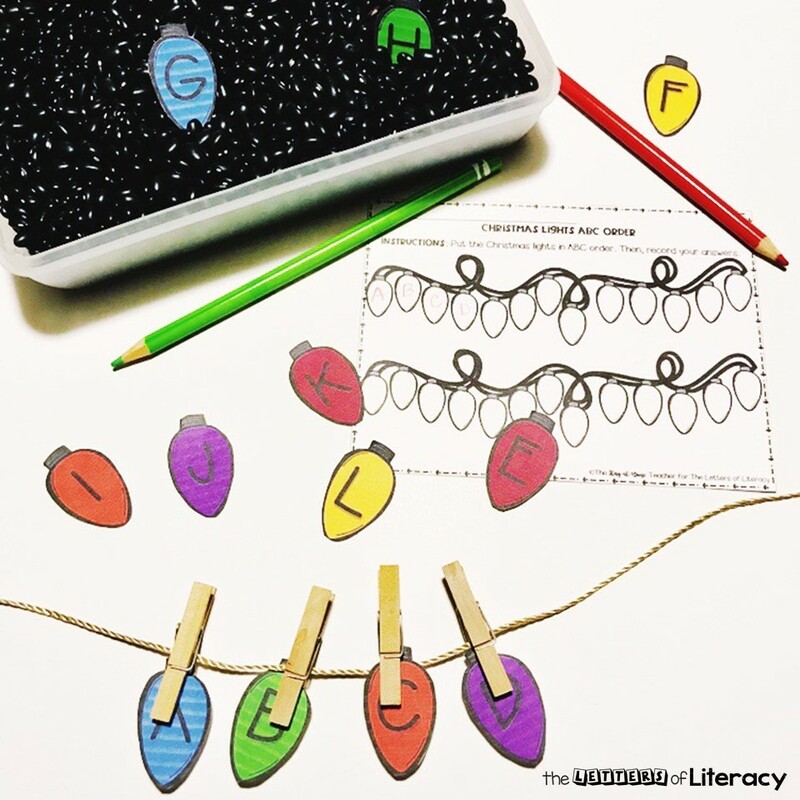 Are you ready to start working on ABC Order with this fun Christmas Sensory Bin? Then, click on the large, blue button below. 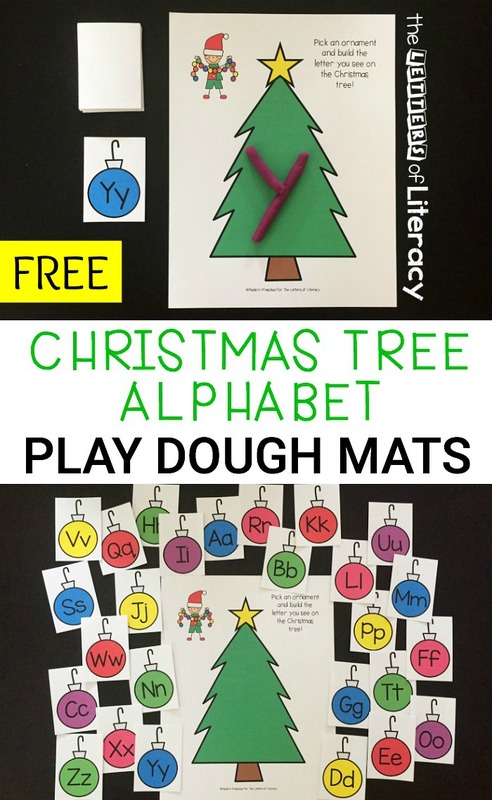 You’ll also want to hop on over to see our Christmas Alphabet Play Dough Mats!